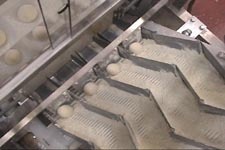 Products Line [Mini 'BUN' Line] | OSHIKIRI MACHINERY LTD.
OSHIKIRI offers New concept of the bun make-up system. 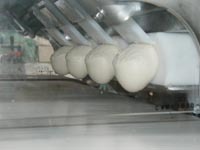 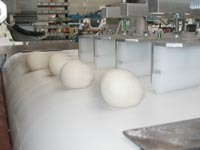 OSHIKIRI new bun make-up system on our own extrusion dividing technology creates not only Low cost / High quality / Uniformity of the production, but also food safety against contamination problems. 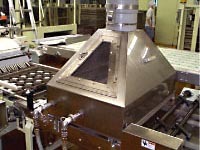 Especially the divider is highly considered on cleaning from a viewpoint of food safety. 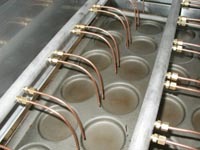 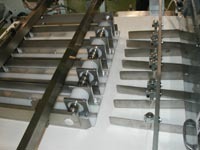 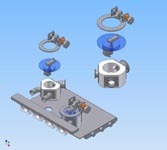 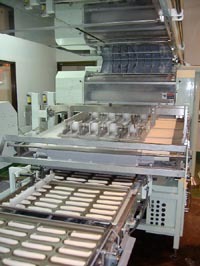 All the major components of the divider can be disassembled and are washable for cleaning, besides automatic cleaning. 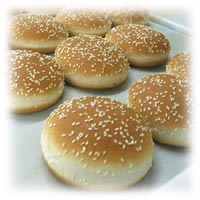 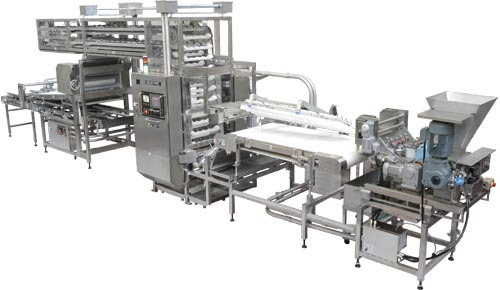 Recipe management of over 20 products and the integrated controls ensure the excellent line performance to efficiently produce soft buns and rolls. 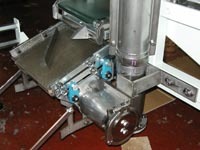 Venturi type vacuum generator with in-line filter and automatic blow-back in C.I.P mode.